A MakerSpace has been described as new amalgam of art, craft, and technology. Our goal is to serve all makers, and potential makers, in the Tulane Community. We do so by providing tools, assistance, and ideas. Commercial use of the MakerSpace is not allowed. If in doubt, questions about interpretation should be directed to the Director before a project is started. 3 When are we open? Click on "MakerSpace Access" to see our hours of operation. Jamie Milstein, a Senior in the Freeman School of Business, came to the MakerSpace a week before a pitch competition asking our Ninjas to teach her how to create a full scale model of her product idea. In three days, she learned how to use the 3D printers and made a great prototype. Then she won $10,000. The MakerSpace is now the Scot Ackerman MakerSpace, after a generous gift from Scot Ackerman, a 1978 graduate in Biomedical Engineering. Weekly training on digital design software is now offered in our new Project Room on Saturday mornings. The sessions are followed by hands-on time in the MakerSpace to demonstrate what's been learned. Look at the "Training Courses" tab on the left side of the page. Prof. Tim Schuler organized a short course for faculty who want to use the MakerSpace. Tulane News captured Maker Ninja Kaleb Branch helping the participants learn to use the laser cutter. Our Make48 team, featured in The New Orleans Advocate and in this Tulane News story, is back from the competition in Baltimore. The TV show won't air until Fall 2019, so we can't say how they placed, but they are proud of their accomplishments. They're featured in this video promo. The Maker of the Year Award recipient for 2018 is Nathan Nguyen. Scroll down to the photo of his winning submission. Maker Ninja Chase Schober and Addie Duncan are featured in the April 11 Tulane New Wave. MakerSpace user Josh Ballagh has been building cosplay weapons in anticipation of Geek Week. His creations are featured in a Tulane PR story. To help K-12 schools in the region grow their MakerSpaces, we're leading an effort bring teachers together starting with Tulane's. Riptide and President Fitts visited the MakerSpace to present the President's Award for Team Excellence to the MakerSpace Leadership Team. The Annual Report of the School of Science and Engineering featured two stories about generous donors to the MakerSpace. 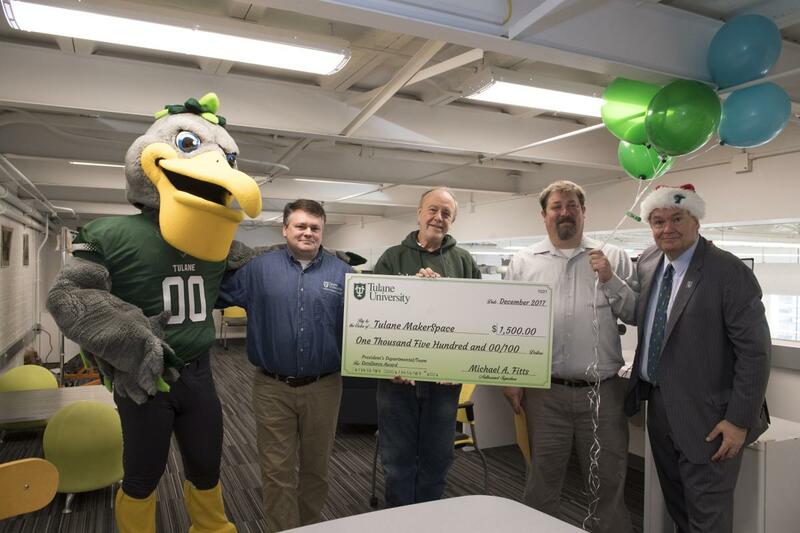 The MakerSpace is featured in the launch for Tulane's $1.3B fund raising campaign. Chase Schober, one of our Ninjas, is seen in the video and the web site mentions the NASA team in the MakerSpace. A new video, featuring Maker Ninja Antonius Prader, was produced by the Office of Admission. Shout-out to Justin Baris for organizing this. We have purchased a Carvey and a Formlabs SLA printer. Both are available to users with Digital-2_Training credentials. A 30-second video, featuring the NASA team, was filmed in the MakerSpace. The Tulane MakerSpace was recently featured as part of a tour for the Board of Tulane. The tour was well-received and many board members enjoyed discussing projects and tools with Chase Schober and Olivia Michael. We have upgraded our 3d printing equipment and filaments, and can now report that (almost) all of our 3d printers are reliably creating beautiful prints and we haven't had a failed print in well over a month of heavy use. The 2017 Maker of the Year Awards were announced on April 18. The winners of cash prizes are Chase Schober and Rae Mills. Scroll down to see their winning submissions. The March '17 TULANIAN magazine features the MakerSpace on pages 5, 7, and 11 of the print edition (pages 7, 9, and 13 in the electronic version). MakerSpace Digital Library is now available in the mezzanine area of the MakerSpace. Please watch our new (1/24/2017) video, featuring Maker Ninjas Afsheen, Ben, and Elise. And while you have a YouTube window open, check out the video of Tulane University's 2016/17 grand prize winning team submission to NASA's BIG Idea Challenge MakerSpace users designed and built a scale prototype for a modular spacecraft intended to ferry cargo spacecraft from Low Earth Orbit (LEO) To Lunar-Distant Retrograde Orbit (LDRO). MakerSpace Advisor Prof. Schuler was the team's mentor. When details on the 2019 New Orleans Mini Maker Faire are announced, we'll post them here. 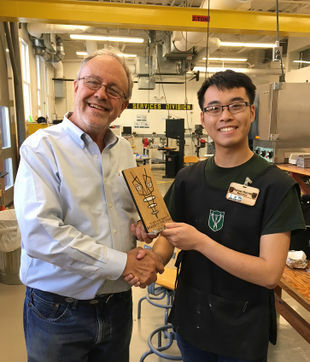 The 2018 Maker of the Year Award, funded by a generous gift from Lary Walker (G ’76, ’79) is presented to Nathan Nguyen (Biomedical Engineering). The School of Architecture's large format laser cutters are available to MakerSpace users. Currently they charge $10/hour ($3 minimum) for machine time; payable with Splash card or check. They have extended operating hours. Go to http://architecture.tulane.edu/dol/reserve-laser to schedule time on one of their three 36"x18" laser cutters. File formats are PDF or Illustrator. As with our Epilog laser cutters, use a line width of 0.001" to vector cut. Be sure to set your document size to their bed size of 36"x18" which is different from the bed size of the Epilogs. Bring your material and files (on a USB drive) to room 104 of Richardson Memorial Hall; student workers are there to help you get set up. Hours, location, and contact information. Links and information concerning the tools we have in the MakerSpace, grouped by category. Information on safety procedures and training, plus links to instruction manuals for equipment. A list of software programs that are available to students, with notes on their use. Supplies on hand at the MakerSpace, and where to find them. Information about suppliers and other online resources. 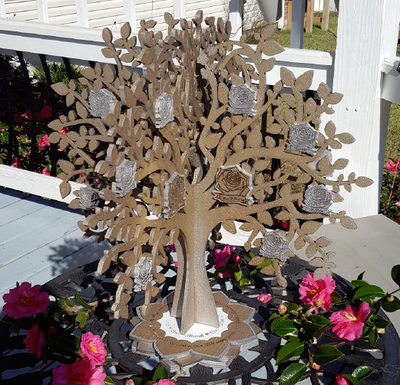 Samples of projects and instructions for doing them yourself. Examples of projects built in the Tulane MakerSpace. Information on those involved in building, managing, and improving the Tulane MakerSpace. Connect with the Tulane Makers and Robotics Society. Entrescan, professional advanced manufacturing services.